Students from King Edward VI Humanities College, Spilsby, 10 years ago. Here we see a group of students from Spilsby’s King Edward VI Humanities College 10 years ago. The children were among those to attend a community event held at Toynton Village Hall by Toynton St Peter and Toynton All Saints parish councils. 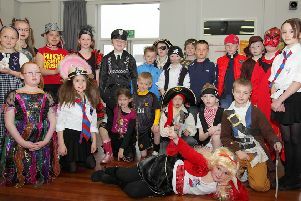 Their role on the day was to look after the children from Toynton All Saints Primary School.